The game's latest stretch goal will add versions for the mobile game systems if funding hits $3.5 million. If you're not yet a backer of Keiji Inafune's Mighty No. 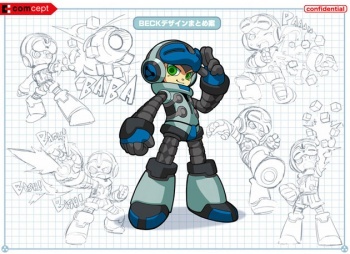 9, the famed developer hopes offering a mobile version of the Mega Man inspired game will get you to open your wallet. Should funding hit the $3.5 million threshold, the game will be ported over to the 3DS and PlayStation Vita by Abstraction Games, the studio responsible for recently porting Hotline Miami to PlayStation platforms. With only four days to go on Kickstarter and a little more than $2.6 million raised of its original asking price of $900,000, Mighty No. 9 is still a bit of a way off from that goal, so fans will need to pledge their money quick if they want to play the game on the go. Should the $3.5 million stretch goal be reached, backers can choose to receive a 3DS or Vita download copy of the game as opposed to one for their computer or home console. Still yet to be reached is the $3.3 million stretch goal, which will see Mighty No. 9 ported to the upcoming Playstation 4 and Xbox One consoles. Currently, the game will be available for PC, Mac, Linux, Xbox 360, PlayStation 3 and Wii U. It has an estimated launch date of spring 2015.